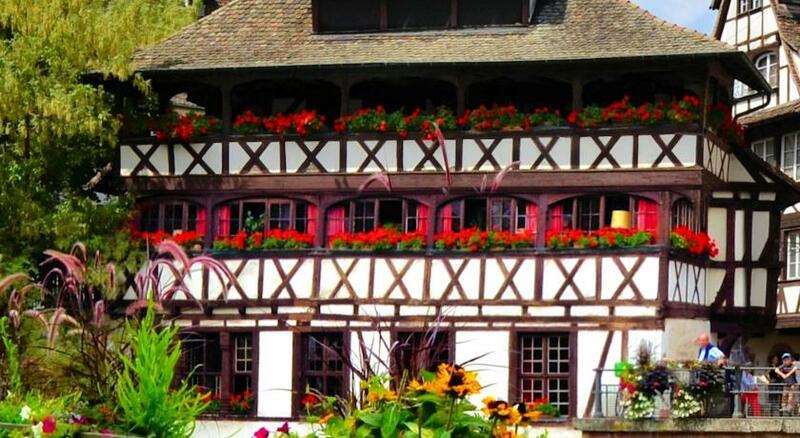 Located close to the main attractions of Strasbourg. The location of this hotel is perfect - by the canal just outside the city center, which means it's accessible by car and has paid parking. The room was relatively small but clean. Good value for money. I had a double room on the 6th floor with velux windows overlooking Strasburg, great hotel. the location was excellent. Close to center of old town. The location was close proximity to everything we wanted to see and do. The staff were very helpful, and directed us where we should go. It was a boiling hot day, and the air conditioning was AMAZING for us! The staff was the best!!! Extremely helpful and welcoming, especially Sophie and Valentin. The room was a bit small for three beds, but we still managed to bring our bicycles to store them there. The bed was comfortable. The other best was the location, very close to the old city. Location is perfect... you can reach the historical center in 2 minutes walk.. even if the surroundigs of the hotel are not really nice.. but once you cross the Bridge, it is all fine! And the ladies at reception were really friendly! I really love the bed, pillows, and comforter. They’re very comfortable and gave me and my husband a good night sleep after a long day of exploring. We were booking Easter getaway last minute, and this hotel seemed a good choice given location (10-15 min slow walk to the Cathedral and 5 min away from the station as we came with the train). Friendly staff. 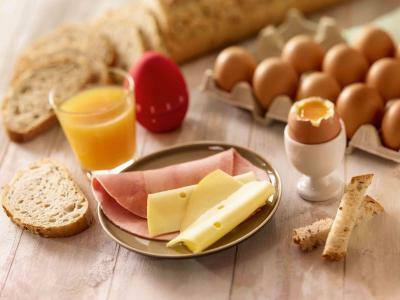 We haven't tried breakfast as there are a few places around where you can get the same for less. Hotel ibis Strasbourg Center Petite France is located in Strasbourg’s Petite France quarter, just 1,500 feet from Strasbourg Train Station. The air-conditioned hotel offers free Wi-Fi internet access and an on-site bar. The guest rooms at ibis Strasbourg Center Petite France include a flat-screen TV with cable and satellite channels. They each have a telephone, a work desk and a bathroom with a hairdryer. Newspapers and luggage storage are available for free on site. Strasbourg Cathedral is 2,650 feet from the hotel and Place Kléber is 2,150 feet away. 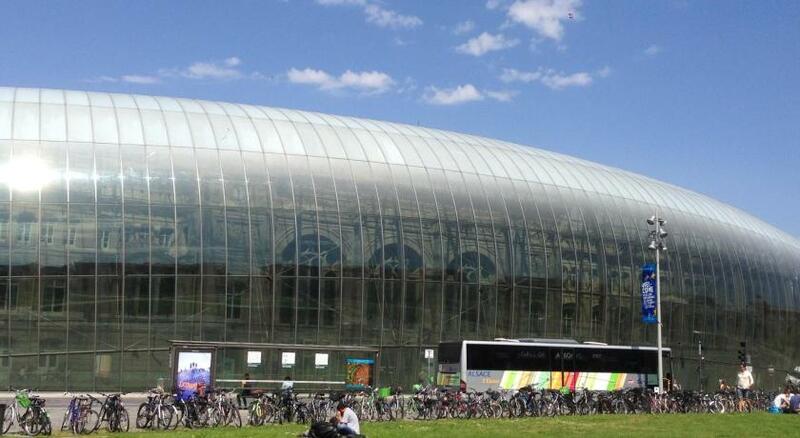 The property is 450 feet from Faubourg National Tram Stop and 9.9 mi from Strasbourg Airport. 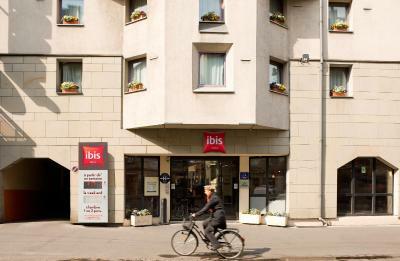 When would you like to stay at ibis Strasbourg Centre Petite France? House Rules ibis Strasbourg Centre Petite France takes special requests – add in the next step! ibis Strasbourg Centre Petite France accepts these cards and reserves the right to temporarily hold an amount prior to arrival. The bed was extremely uncomfortable, the showerbooth was for dwarfs und very small that with every shower the bathroom become full of Water. Friendly staff. Good breakfast and location. The location was excellent. The staff were very friendly. Neighbourhood was a bit dingy. Very close to the city centre and the staff were super friendly and helpful. No shower curtain/ door: bathroom floor gets wet. Excellent location: walking distance from Strasbourg train station, Petite France, the Cathedral; etc. Friendly and helpful staff; always available. Good security. Very efficient check in and check out. Clean rooms and premises. Very warm and cosy rooms in winter (don't know about summer). no chair at the desk. Inconvenient to work in the room. Only one bin in the bathroom. Easier if there were also one in the room. clean hotel and very friendly staff. Very convenient location. Comfortable bed. It’s not clear how to enter the hotel if you’re new to France: you can’t open the door yourself, it’s not even very clear that it’s a door because it looks like the automatic one in the supermarkets but it is not automatic; you should ring a bell on the right and wait. When we had to wait too long because nobody was at the reception we though that we did smth wrong and tried to push the door, and then the guy-receptionist who came and opened it explained us the principle of the door-functionality with the nosed-up tone like if we were children ! That was definitely not a client-oriented behavior. Otherwise, all the rest was good. Great location: few minutes walk from the central railway station and same distance to the old city and the spectacular Petite France quartier. Clean room, everything necessary in the shower, nice view to the small yard. Oh yes, as we came 24th of December, we got a nice present with a little bag of Christmas chocolate when checking- in! We have to take a flight of stairs to reach our rooms. Funny layout. The early official check in time and they are obliging if you arrive earlier. The staff are friendly and efficient. I contacted the hotel weeks before I arrive and my queries were promptly answered by Kevin. That left good first impression of the hotel.